Get the mark, get the power! When I was a child, I used to dream of what it would be like to meet aliens, beings from another planet. Now that I'm fifteen and my dream has come true, I keep wishing the aliens would just go away. I was right there when the spaceships crashed. I saw the whole thing happen with my own two eyes. And it was...INCREDIBLE! Then came the orb, and the strange marks; and my other dreams, the ones about super powers, came true. After that it was all downhill. First, I was fighting for the lives of strangers. Then I was fighting for my own. Now, I'm fighting for all of the above, and the lives of everyone I love. 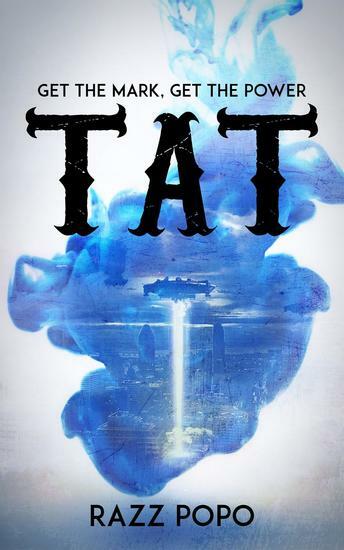 TAT is a young adult, sci-fi novel with aliens, super powers, and enough action to spice up the dreariest day. This is the page of Razz Popo on 24symbols. Here you can see and read his/her books.